McKenzie, S. K., Kronauer, D. J. C. (2018): The genomic architecture and molecular evolution of ant odorant receptors. Genome Research online early. Libbrecht, R.*, Oxley, P. R.*, Kronauer, D. J. C. (2018): Clonal raider ant brain transcriptomics identifies candidate molecular mechanisms for reproductive division of labor. BMC Biology 16: 89. *Contributed equally. Chandra, V.*, Fetter-Pruneda, I. 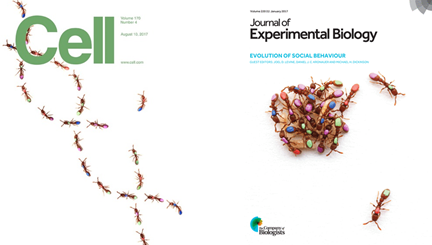 *, Oxley, P. R., Ritger, A. L., McKenzie, S. K., Libbrecht, R., Kronauer, D. J. C. (2018): Social regulation of insulin signaling and the evolution of eusociality in ants. Science 361: 398-402. *Contributed equally. Ulrich, Y., Saragosti, J., Tokita, C. K., Tarnita, C. E., Kronauer, D. J. C. (2018): Fitness benefits and emergent division of labor at the onset of group-living. Nature 560: 635-638. Ivens, A. B. F., Gadau, A., Kiers, E. T., Kronauer, D. J. C. (2018): Can social partnerships influence the microbiome? Insights from ant farmers and their trophobiont mutualists. Molecular Ecology 27: 1898-1914.
von Beeren, C., Brückner, A., Maruyama, M., Burke, G., Wieschollek, J., Kronauer, D. J. C. (2018): Chemical and behavioral integration of army ant-associated rove beetles – a comparison between specialists and generalists. Frontiers in Zoology 15: 8. Butler, I. A., Peters, M. K., Kronauer, D. J. C. (2018): Low levels of hybridization in two species of African driver ants. Journal of Evolutionary Biology 31: 556-571. Hu, Y. *, Sanders, J. G.*, Łukasik, P., D’Amelio, C. L., Millar, J. S., Vann, D. R., Lan, Y., Newton, J. A., Schotanus, M., Kronauer, D. J. C., Pierce, N. E., Moreau, C. S., Wertz, J. T., Engel, P., Russell, J. A. (2018): Herbivorous turtle ants obtain essential nutrients from a conserved nitrogen-recycling gut microbiome. Nature Communications 9: 964. *Contributed equally. Kronauer, D. J. C., Libbrecht, R. (2018): Back to the roots: the importance of using simple insect societies to understand the molecular basis of complex social life. Current Opinion in Insect Science 28: 33-39. Trible, W., Olivos-Cisneros, L., McKenzie, S. K., Saragosti, J., Chang, N.-C., Matthews, B. J., Oxley, P. R., Kronauer, D. J. C. (2017): orco mutagenesis causes loss of antennal lobe glomeruli and impaired social behavior in ants. Cell 170: 727-735. Cover story. Garnier, S., Kronauer, D. J. C. (2017): The adaptive significance of phasic colony cycles in army ants. Journal of Theoretical Biology 428: 43-47. Lukasik, P., Newton, J. A., Sanders, J. G., Hu, Y., Moreau, C., Kronauer, D. J. C., O’Donnell, S., Koga, R., Russell, J. A. (2017): The structured diversity of specialized gut symbionts of the New World army ants. Molecular Ecology 26: 3808-3825. Tishechkin, A. K., Kronauer, D. J. C., von Beeren, C. (2017): Taxonomic review and natural history notes of the army ant-associated beetle genus Ecclisister Reichensperger (Coleoptera: Histeridae: Haeteriinae). The Coleopterists Bulletin 71: 279-288. Winston, M., Kronauer, D. J. C., Moreau, C. S. (2017): Early and dynamic colonization of Central America drives speciation in Neotropical army ants. Molecular Ecology 26: 859-870. Kronauer, D. J. C., Levine, J. D. (2017): The ultimate and proximate underpinnings of social behavior. Journal of Experimental Biology 220: 4-5. Cover story. Trible, W., Kronauer, D. J. C. (2017): Caste development and evolution in ants: it’s all about size. Journal of Experimental Biology 220: 53-62. McKenzie, S. K., Fetter-Pruneda, I., Ruta, V., Kronauer, D. J. C. (2016): Transcriptomics and neuroanatomy of the clonal raider ant implicate an expanded clade of odorant receptors in chemical communication. Proceedings of the National Academy of Sciences of the United States of America 113: 14091-14096.
von Beeren, C., Maruyama, M., Kronauer, D. J. C. (2016): Community sampling and integrative taxonomy reveal new species and host specificity in the army ant-associated beetle genus Tetradonia (Coleoptera, Staphylinidae, Aleocharinae). PLoS ONE 11: e0165056. Libbrecht, R.*, Oxley, P. R.*, Keller, L., Kronauer, D. J. C. (2016): Robust DNA methylation in the clonal raider ant brain. Current Biology 26: 391-395. *Contributed equally. Ivens, A. B. F.*, von Beeren, C.*, Blüthgen, N., Kronauer, D. J. C. (2016): Studying the complex communities of ants and their symbionts using ecological network analysis. Annual Review of Entomology 61: 353-371. *Contributed equally. Ulrich, Y., Burns, D., Libbrecht, R., Kronauer, D. J. C. (2016): Ant larvae regulate worker foraging behavior and ovarian activity in a dose-dependent manner. Behavioral Ecology and Sociobiology 70: 1011-1018.
von Beeren, C., Maruyama, M., Kronauer, D. J. C. (2016): Cryptic diversity, high host specificity and reproductive synchronization in army ant-associated Vatesus beetles. Molecular Ecology 25: 990-1005.
von Beeren, C., Kronauer, D. J. C. (2016): Exploring the guests of army ants. Barcode Bulletin 7: 4-5. Kronauer, D. J. C., Kronauer, U. (2015): Altruistische Ameisen – Vorbilder für die Menschen? Überlegungen aus dem Zeitalter der Aufklärung im Licht der modernen Biologie. In: Joost, U., Moenninghoff, B., Spieker, F. (eds): Lichtenberg-Jahrbuch 2013 (pp. 191-196). Universitätsverlag Winter, 435pp. von Beeren, C., Stoeckle, M. Y., Xia, J., Burke, G., Kronauer, D. J. C. (2015): Interbreeding among deeply divergent mitochondrial lineages in the American cockroach (Periplaneta americana). Scientific Reports 5: 8297. Libbrecht, R., Kronauer, D. J. C. (2014): Convergent evolution: The genetics of queen number in ants. Dispatch. Current Biology 24: R1083-R1085. Butler, I. A., Siletti, K., Oxley, P. R., Kronauer, D. J. C. (2014): Conserved microsatellites in ants enable population genetic and colony pedigree studies across a wide range of species. PLoS ONE 9: e107334. McKenzie, S. K., Oxley, P. R., Kronauer, D. J. C. (2014): Comparative genomics and transcriptomics in ants provide new insights into the evolution and function of odorant binding and chemosensory proteins. BMC Genomics 15: 718. Kronauer, D. J. C. (2014): Invasive species: Old foes meet again. Dispatch. Current Biology 24: R372-374. Teseo, S., Lecoutey, E., Kronauer, D. J. C., Hefetz, A., Lenoir, A., Jaisson, P., Châline, N. (2014): Genetic distance and age affect the cuticular chemical profiles of the clonal ant Cerapachys biroi. Journal of Chemical Ecology 40: 429-438. Teseo, S., Châline, N., Jaisson, P., Kronauer, D. J. C. (2014): Epistasis between adults and larvae underlies caste fate and fitness in a clonal ant. Nature Communications 5: 3363. Oxley, P. R.#, Ji, L.#, Fetter-Pruneda, I., McKenzie, S. K., Li, C., Hu, H., Zhang, G.*, Kronauer, D. J. C.* (2014): The genome of the clonal raider ant Cerapachys biroi. Current Biology 24: 451-458. #/*Contributed equally. Sanders, J. G., Powell, S., Kronauer, D. J. C., Vasconcelos, H. L., Frederickson, M. E., Pierce, N. E. (2014): Stability and phylogenetic correlation in gut microbiota: lessons from ants and apes. Molecular Ecology 23: 1268-1283. Price, S. L., Powell, S., Kronauer, D. J. C., Tran, L. A. P., Pierce, N. E., Wayne, R. K. (2014): Renewed diversification is associated with new ecological opportunity in the Neotropical turtle ants. Journal of Evolutionary Biology 27: 242-258. Cover Story. Libbrecht, R., Oxley, P., Kronauer, D. J. C., Keller, L. (2013): Ant genomics sheds light on the molecular regulation of social organization. Genome Biology 14: 212. Saragosti, J., Kronauer, D. J. C. (2013): Animal behavior: The Truman Show for ants. Dispatch. Current Biology 23: R568-R570. Teseo, S., Kronauer, D. J. C., Jaisson, P., Châline, N. (2013): Enforcement of reproductive synchrony via policing in a clonal ant. Current Biology 23: 328-332. Kronauer, D. J. C., Tsuji, K., Pierce, N. E., Keller, L. (2013): Non-nest mate discrimination and clonal colony structure in the parthenogenetic ant Cerapachys biroi. Behavioral Ecology 24: 617-622. Rabeling, C., Kronauer, D. J. C. (2013): Thelytokous parthenogenesis in eusocial Hymenoptera. Annual Review of Entomology 58: 273-292. Russell, J. A., Funaro, C. F., Giraldo, Y. M., Goldman-Huertas, B., Suh, D., Kronauer, D. J. C., Moreau, C. S., Pierce, N. E. (2012): A veritable menagerie of heritable bacteria from ants, butterflies, and beyond: broad molecular surveys and a systematic review. PLoS ONE 7: e51027. Kronauer, D. J. C., Pierce, N. E., Keller, L. (2012): Asexual reproduction in introduced and native populations of the ant Cerapachys biroi. Molecular Ecology 21: 5221-5235. Ivens, A. B. F., Kronauer, D. J. C., Pen, I., Weissing, F. J., Boomsma, J. J. (2012): Ants farm subterranean aphids mostly in single clone groups – an example of prudent husbandry for carbohydrates and proteins? BMC Evolutionary Biology 12: 106. Ivens, A. B. F., Kronauer, D. J. C., Pen, I., Weissing, F. J., Boomsma, J. J. (2012): Reproduction and dispersal in an ant-associated root aphid community. Molecular Ecology 21: 4257-4269. Wetterer, J. K., Kronauer, D. J. C., Borowiec, M. L. (2012): Worldwide spread of Cerapachys biroi (Hymenoptera: Formicidae: Cerapachyinae). Myrmecological News 17: 1-4. Kronauer, D. J. C.*, Peters, M. K.*, Schöning, C., Boomsma, J. J. (2011): Hybridization in East African swarm-raiding army ants. Frontiers in Zoology 8: 20. *Contributed equally. Soare, T. W., Tully, S. I., Willson, S. K., Kronauer, D. J. C., O’Donnell, S. O. (2011): Choice of nest site protects army ant colonies from environmental extremes in tropical montane forest. Insectes Sociaux 58: 299-308. Funaro, C. F., Kronauer, D. J. C., Moreau, C. S., Goldman-Huertas, B., Pierce, N. E., Russell, J. A. (2011): Army ants harbor a host-specific clade of Entomoplasmatales bacteria. Applied and Environmental Microbiology 77: 346-350. Cover story. Kronauer, D. J. C., O’Donnell, S., Boomsma, J. J., Pierce, N. E. (2011): Strict monandry in the ponerine army ant genus Simopelta suggests that colony size and complexity drive mating system evolution in social insects. Molecular Ecology 20: 420-428. Cover story. Ivens, A. B. F., Kronauer, D. J. C., Boomsma, J. J. (2010): Characterisation and cross-amplification of polymorphic microsatellite loci in ant-associated root-aphids. Conservation Genetics Resources 3: 73-77. Kronauer, D. J. C., Boomsma, J. J., Pierce, N. E. (2010): Nine novel microsatellite markers for the army ant Simopelta pergandei (subfamily Ponerinae). Conservation Genetics Resources 3: 61-63. 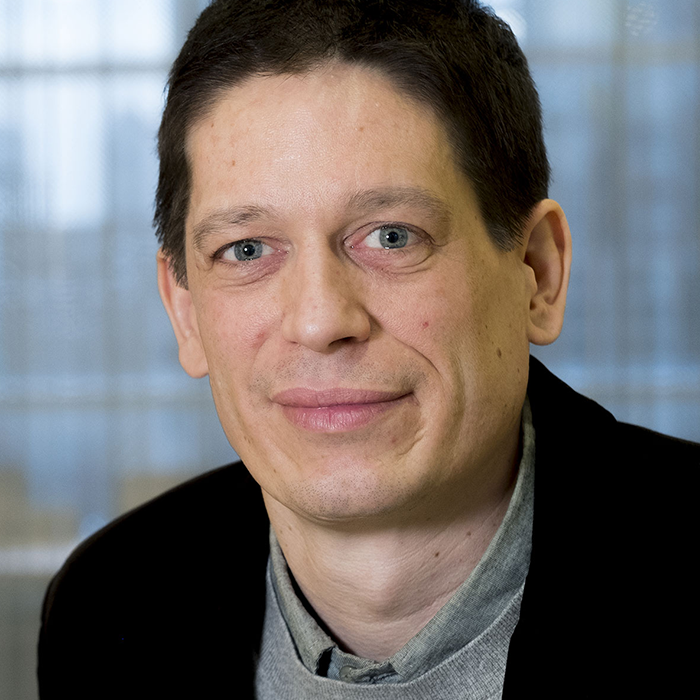 Ugelvig, L. V., Kronauer, D. J. C.*, Schrempf, A. *, Heinze, J., Cremer, S. (2010): Rapid anti-pathogen response in ant societies relies on high genetic diversity. Proceedings of the Royal Society of London Series B277: 2821-2828. *Contributed equally. Kronauer, D. J. C., Schöning, C., d’Ettorre, P., Boomsma, J. J. (2010): Colony fusion and worker reproduction after queen loss in army ants. Proceedings of the Royal Society of London Series B 277: 755-763. Baer, B., den Boer, S. P. A., Kronauer D. J. C., Nash, D. R., Boomsma, J. J. (2009): Fungus gardens of the leafcutter ant Atta colombica function as egg nurseries for the snake Leptodeira annulata. Insectes Sociaux 56: 289-291. Kronauer, D. J. C. (2008): Genomic imprinting and kinship in the social Hymenoptera: what are the predictions? Journal of Theoretical Biology 254: 737-740. Berghoff, S. M.*, Kronauer, D. J. C.*, Edwards, K. J., Franks, N. R. (2008): Dispersal and population structure of a New World predator, the army ant Eciton burchellii. Journal of Evolutionary Biology 21: 1125-1132. *Contributed equally. Cover story. Schöning, C., Gotwald, W. H. Jr., Kronauer, D. J. C., Vilhelmsen, L. (2008): Taxonomy of the African army ant Dorylus gribodoi Emery, 1892 (Hymenoptera, Formicidae) – new insights from DNA sequence data and morphology. Zootaxa 1749: 39-52. Ugelvig, L. V., Drijfhout, F. P., Kronauer, D. J. C., Boomsma, J. J., Pedersen, J. S., Cremer, S. (2008): The introduction history of invasive garden ants in Europe: integrating genetic, chemical and behavioural approaches. BMC Biology 6:11. Kronauer, D. J. C., Boomsma, J. J. (2007): Multiple queens means fewer mates. Current Biology 17: R753-R755. Jaffe, R.*, Kronauer, D. J. C.*, Kraus, F. B., Boomsma, J. J., Moritz, R. F. (2007): A genetic component to worker caste determination in the army ant Eciton burchellii. Biology Letters 3: 513-516. *Contributed equally. Kronauer, D. J. C., Schöning, C., Vilhelmsen, L. B., Boomsma, J. J. (2007): A molecular phylogeny of Dorylus army ants provides evidence for multiple evolutionary transitions in foraging niche. BMC Evolutionary Biology 7: 56. Kronauer, D. J. C., Rodríguez Ponce, E. R., Lattke, J. E., Boomsma, J. J. (2007): Six weeks in the life of a reproducing army ant colony: male parentage and colony behaviour. Insectes Sociaux 54: 118-123. Kronauer, D. J. C., Johnson, R. A., Boomsma, J. J. (2007): The evolution of multiple mating in army ants. Evolution61: 413-422. Cover story. Kronauer, D. J. C., Gadau, J., Boomsma, J. J. (2007): Characterization of 12 new microsatellite loci in Aenictus and Neivamyrmex army ants. Molecular Ecology Notes 7: 688-690. Kronauer, D. J. C., Boomsma, J. J. (2007): Do army ant queens re-mate later in life? Insectes Sociaux 54: 20-28. Kronauer, D. J. C., Berghoff, S. M., Powell, S., Denny, A. J., Edwards, K. J., Franks, N. R., Boomsma, J.J. (2006): A reassessment of the mating system characteristics of the army ant Eciton burchellii. Naturwissenschaften 93: 402-406. Kronauer, D. J. C., Schöning, C., Boomsma, J. J. (2006): Male parentage in army ants. Molecular Ecology 15: 1147-1151. Kronauer, D. J. C., Bergmann, P., Mercer, J., Russell, A. (2005): A phylogeographically distinct and deep divergence in the widespread Neotropical turnip-tailed gecko, Thecadactylus rapicauda. Molecular Phylogenetics and Evolution 34: 431-437. Kronauer, D. J. C. (2004): Trophic parasitism of a wasp (Hymenoptera: Ampulicidae: Ampulex sp.) on the ant Ectatomma ruidum (Roger, 1860) (Hymenoptera: Formicidae). Myrmecological News 6: 77-78. Kronauer, D. J. C., Schöning, C., Pedersen, J. S., Boomsma, J. J., Gadau, J. (2004): Extreme queen-mating frequency and colony fission in African army ants. Molecular Ecology 13: 2381-2388. Kronauer, D. J. C., Hölldobler, B., Gadau, J. (2004): Phyolgenetics of the new world honey ants (genus Myrmecocystus) estimated from mitochondrial DNA sequences. Molecular Phylogenetics and Evolution 32: 416-421. Kronauer, D. J. C., Boomsma, J. J., Gadau, J. (2004): Microsatellite markers for the driver ant Dorylus (Anomma) molestus. Molecular Ecology Notes 4: 289-290. Kronauer, D. J. C., Gadau, J., Hölldobler, B. (2003): Genetic evidence for intra- and interspecific slavery in honey ants (genus Myrmecocystus). Proceedings of the Royal Society of London Series B 270: 805-810. Kronauer, D. J. C., Gadau, J. (2002): Isolation of polymorphic microsatellite markers in the new world honey ant Myrmecocystus mimicus. Molecular Ecology Notes 2: 540-541. Kronauer, D. J. C., Pierce, N. E. (2011): Myrmecophiles. Quick Guide. Current Biology 21: R208-R209. Abbot, P. et al. (2011): Inclusive fitness theory and eusociality. Brief communications arising. Nature 471: E1-E4. 138 authors in alphabetical order. Kronauer, D. J. C. (2009): Recent advances in army ant biology (Hymenoptera: Formicidae). Myrmecological News12: 51-65. Boomsma, J. J., Kronauer, D. J. C., Pedersen, J. S. (2009): The evolution of social insect mating systems. In: Gadau, J., Fewell, J. (eds): Organization of insect societies – from genome to sociocomplexity (pp. 3-25). Harvard University Press, 617pp. Kronauer, D. J. C. (2008): Mutualism: Wasp keeps watchdogs to protect young. Dispatch. Current Biology 18: R866-R868. Hughes, D. P., Kronauer, D. J. C., Boomsma, J. J. (2008): Extended phenotype: nematodes turn ants into bird-dispersed fruits. Dispatch. Current Biology 18: R294-R295. Kronauer, D. J. C. (2009): Wanderameisen – räuberische Nomaden der Tropen. Reptilia 14(3): 63-70. This article has been translated and appeared in international editions in January 2010 (Spanish: Reptilia no. 80 (“Hormigas soldado – los depredadores nómadas de los trópicos”); English: Reptilia no. 67 („Army ants – predacious nomads of the tropics”); Italian: Reptilia no. 29 (“Le formiche legionarie – predatori nomadi dei tropici”). Kronauer, D. J. C. (2008): Featured insect: Trap-jaw ant, Daceton armigerum (Latreille). American Entomologist 54 (4): 201. Kronauer, D. J. C. (2008): Hærmyrer – nomadiske røvere på jagt i troperne. Naturens Verden. 2008 (6): 34-40.Cover story.